Dr. Christopher L. Bishop is the President and CEO of Mid-Atlantic Children’s Services, Inc., and Mid-Atlantic Psychological Services. He is a licensed clinical-forensic psychologist and clinical social worker in the Washington D.C. metropolitan area. Dr. Bishop conducts therapy and psychological assessments, as well as provides regular consultation and supervision of graduate trainees and mental health professionals. Dr. Bishop has extensive experience performing forensic and educational evaluations and providing expert testimony. His research interests include juvenile and adult forensic psychology, exploring multicultural issues in psychological practice, and child/clinical dilemmas. Dr. Bishop accepts appointments at our Maryland and Virginia locations. EDUCATION: State University of New York at Buffalo, Bachelor of Arts in Psychology and African-American Studies (1995). Master in Social Work at Howard University (1998). Master (2000) and Doctorate (2002) in Clinical Psychology at the University of Hartford (APA-Accredited). INTERNSHIP AND POST-DOCTORAL TRAINING: APA Accredited internship at the Community Service Board at Woodburn Community Mental Health Center in Fairfax, VA. Performed clinical and forensic evaluations and provided therapy for children, adolescents and adults. 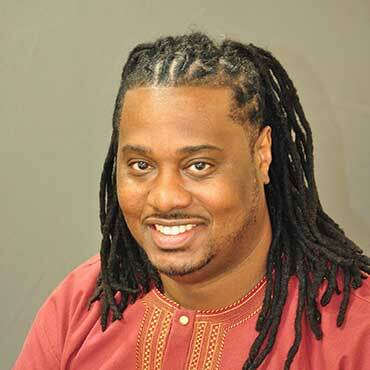 His post-doctoral training was completed in the private sector at New Foundations School and the public sector at Robert Poole Middle School with a focus on individual and group therapy and psychological testing in Baltimore, MD. CREDENTIALS: Licensed Psychologist in the State of Maryland; Licensed Clinical Psychologist in the Commonwealth of Virginia; Licensed Psychologist in the District of Columbia; Licensed Certified Social Worker – Clinical in the State of Maryland; Licensed Independent Clinical Social Worker in the District of Columbia; Board Certified Social Worker Supervisor in the State of Maryland. SERVICES PROVIDED: Comprehensive Evaluations including, but not limited to, Psychoeducational, Clinical, Parental Capacity, and Competency assessments with children, teens, and adults; Therapy with children, adolescents, adults, families, and groups; Clinical Supervision; Clinical/Forensic Consultation, Expert Witness; Trainings; Executive Coaching; Speaking Engagements. Dr. Bishop administers personalized assessments for clients of all ages and demographics. Dr. Bishop’s reports and recommendations are individualized in consideration of test data in conjunction with cultural factors that can impact the findings to provide meaningful understandings that can improve the lives of individuals. Dr. Bishop seeks to understand, integrate, and explain educational, social-emotional, cognitive, and adaptive strengths and weaknesses to support each client in a holistic manner, and to inform recommendations for every aspect of day to day life and/or to answer a legal question. Dr. Bishop is a skillful clinician who is adept at working with all ages. His training in play therapy allows him to assist children to resolve developmental issues to improve the lives of children and parents. Similarly, his work with adolescents is effective in which he assists youths to manage the common transitions and challenges they experience in today’s changing world. Adult clients typically experience anxiety, depression, work stress, and life changes, for which Dr. Bishop equips them with better coping skills to meet the demands of their lives to reduce interruptions that have become a barrier in their lives. Furthermore, Dr. Bishop assist clients who are in leadership roles to find ways to improve and enhance the strengths they possess to become more effective in their companies.